The post A Pet Parent’s Emergency Preparedness Checklist for Dogs by Denise LeBeau appeared first on Dogster. Copying over entire articles infringes on copyright laws. You may not be aware of it, but all of these articles were assigned, contracted and paid for, so they aren’t considered public domain. However, we appreciate that you like the article and would love it if you continued sharing just the first paragraph of an article, then linking out to the rest of the piece on Dogster.com. Having an emergency preparedness checklist for dogs has never been more important. Emergencies that require you to evacuate mean you need to be prepared at any time. “When disaster strikes, that frantic time is not when you should try and put a checklist together,” says Cathy Scott, an investigative journalist and author of Pawprints of Katrina: Pets Saved and Lessons Learned. “People don’t realize disasters occur all the time and they don’t have to be natural,” says Sherry Woodard, animal emergency veteran and animal behavior consultant at Best Friends Animal Society. “Chemical leaks or an overturned tractor trailer or derailed train transporting toxic chemicals can mean an evacuation of a few hours to a few days.” We’ve got you covered with this easy-to-follow emergency preparedness checklist for dogs. 1. Always have critical supplies ready. Disaster could strike at any moment — always have supplies on hand. Photography ©Image Source | Photodisc via Getty Images. “You’ll want to have everything ready beforehand: pet food, water, poop bags and dog crates,” says Rob Levine, Chief Development Officer, of First Coast No More Homeless Pets. “Everything should be clearly marked with waterproof identification with your contact info and an out-of-state contact, if you can.” And don’t forget an extra leash, bedding and a favorite toy or two. 2. Keep your supplies fresh and replenished. “Make sure your contact information is attached to your dog’s collar in a waterproof format, including your cell phone number,” says Levine. 4. 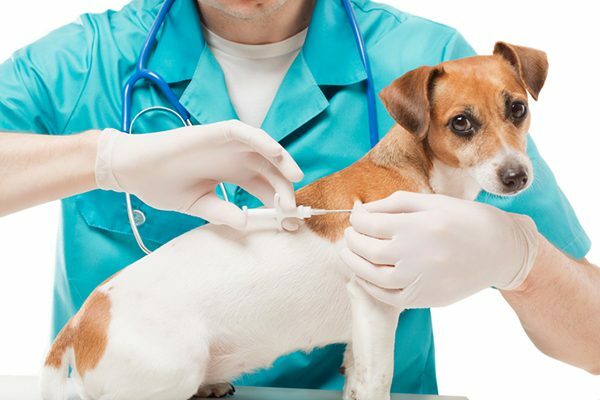 Microchip your dog and ensure that the information is up to date. Microchips are key to an emergency preparedness plan. Photography by Fly_dragonfly/Thinkstock. Having your dog microchipped and your current contact information registered with the microchip agency, along with keeping the microchip number at the ready, is essential, Levine advises. “And it’s important to bring all immunization and other medical records with you during an evacuation,” he says. These records are especially important if your dog loses his collar and ID tag or needs to take refuge at a temporary emergency shelter. 5. Make sure you can bring your dog with you to a hotel or shelter. Being proactive will save your family a lot of heartache. “If you need to evacuate, know where you are going, and confirm that there are pet-friendly hotels or shelters in advance,” says Levine. Mapping out where you will go and how you will get there will alleviate a lot of stress in the event of a disaster. 6. Practice ahead of time. 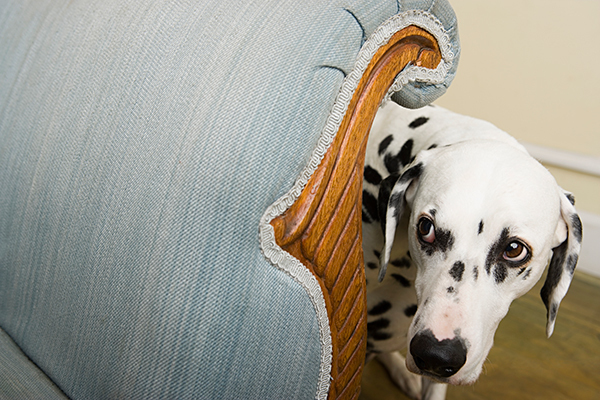 Your dogs are depending on you to get them out of harm’s way, so are you ready to do that? “Make sure your vehicle’s battery is charged and that you’ve got a full tank of gas at the first inkling of a disaster,” says Woodard. She also suggests doing practice emergency drills with the whole family. “In the event of an emergency, everyone should be prepared, even the children.” Remember, when disaster strikes, chaos will ensue, but you can make the whole endeavor as streamlined as possible if you’ve practiced ahead of time. And don’t forget to keep your smart phones fully charged and pack all your chords and chargers. Also, apps like Zello are helpful during an emergency as they turn your cell phone into a walkie talkie. If cell service goes down, you can still contact emergency services. 7. Be prepared for the aftermath. Sometimes the disaster can be much bigger than anticipated. “A disaster can turn deadlier at any point in time,” says Sherry. So, staying safe could mean spending a few extra days out of the emergency area until you get the official all clear. Scott reiterates the importance of being prepared: “From my experience, the most important thing for pet guardians to remember is that their pets are helpless without them. They depend on their guardians’ planning to make sure, if they’re separated, that they’re easily identified.” Don’t wait for a warning to get your dog’s emergency preparedness checklist in order.